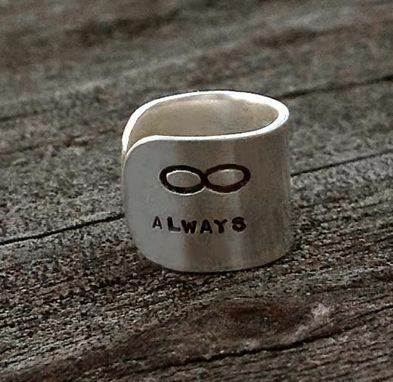 Breathe new life into any outfit by accessorizing it with this brazen piece of unorthodox jewelry. 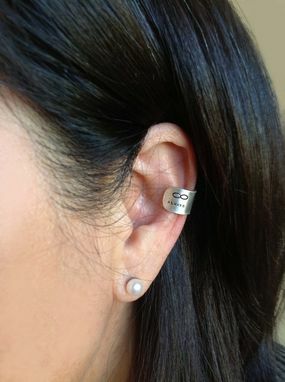 The hand-stamped ear cuff made from sterling silver has been hand-forged from a single strip of metal curved into the shape you see here. 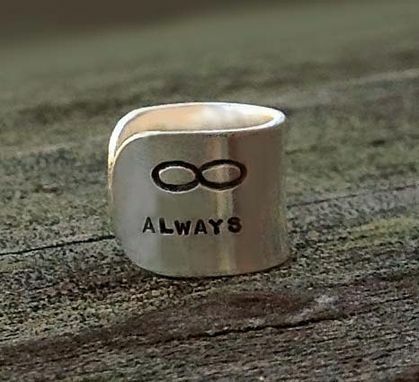 It is then engraved with the infinity symbol and the word "always,'' after which I oxidized the lettering and image for high contrast. You can also order this item as 14k gold filled.